You keep telling everyone that lately you've been feeling unstoppable like you're nearly invincible, but no one is taking you seriously. They maybe give you an insincere shoulder shrug or, at the most, a superficial saying like, “Don't go and fly too close to the sun.” Well, you may just need something that will really make them take notice to your recent claims of being bulletproof. So, why not walk in the house with these Makeup Prosthetic Bullet Wounds scattered around your torso? Act like its no big deal and just give your friends that—I told ya so—look. Once you've had your fun messing with their heads, you can add these prosthetic wounds to any costume you want to amp up. 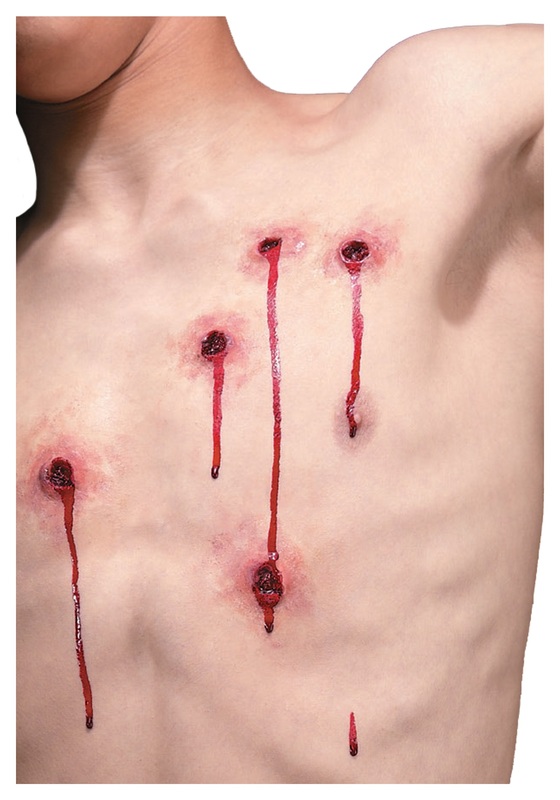 They would go great with any monster costume that you want to be perceived as indestructible, whether it be a hungry zombie, a thirsty vamp, or a rabid werewolf, these bullet injuries will take your monster to the next level of scary!